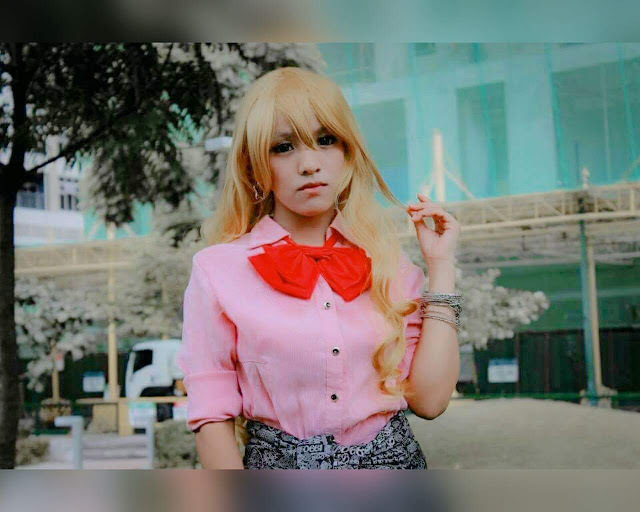 Meet DREY DEL ROSARIO a.k.a Hiroelle - Chii, a cosplayer who likes to have fun, make friends, be more creative and share happiness and enjoying the anime world! At first, I thought that this person is "he" because of the name but it turns out it's a she. Wow, that was an awesome plan for someone who just started cosplaying in 2015. For sure most of us would love to see and visit a cosplay themed cafe right? 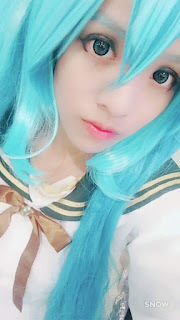 Hiroelle-Chii really loves cosplay and among the character, she cosplayed include many modules or versions of Miku Hatsune, Yuzu Aihara, and Sora Kasugano among others. I also do run a small business on Facebook in which I'm offering MADE-TO-ORDER costume for cosplayers. You can visit her shop through THIS LINK. Nobody's perfect, don't worry for judgement, just be yourself, and love the character you are portraying. Nice to meet you Hiroelle-Chii and hope to see you in the next conventions and events. Like on Hiroelle-Chii Facebook!